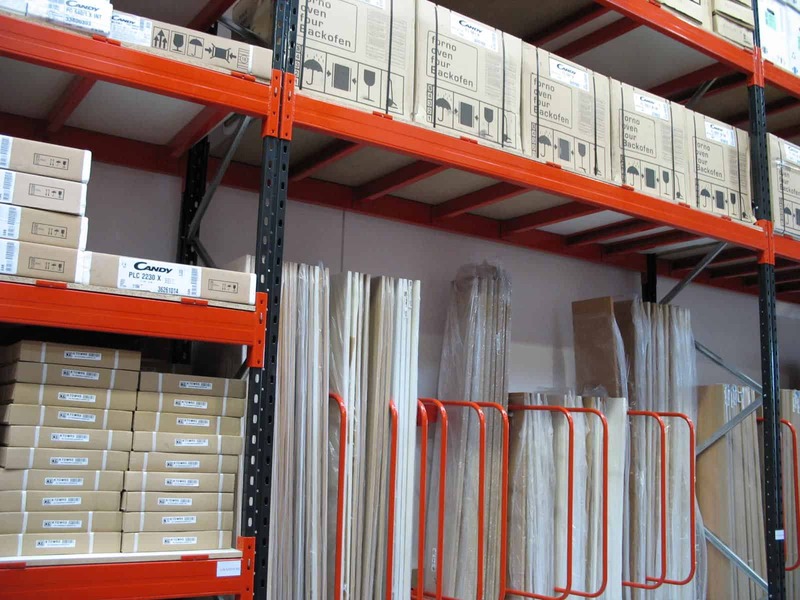 Stakapal have been manufacturing Worktop Racking, Panel Racking and Sheet Material Racks for the Kitchen, Bedroom and Bathroom Industry for many years as well as offering a range of storage alternatives for Finished Goods, Fixings and Sanitary Ware. 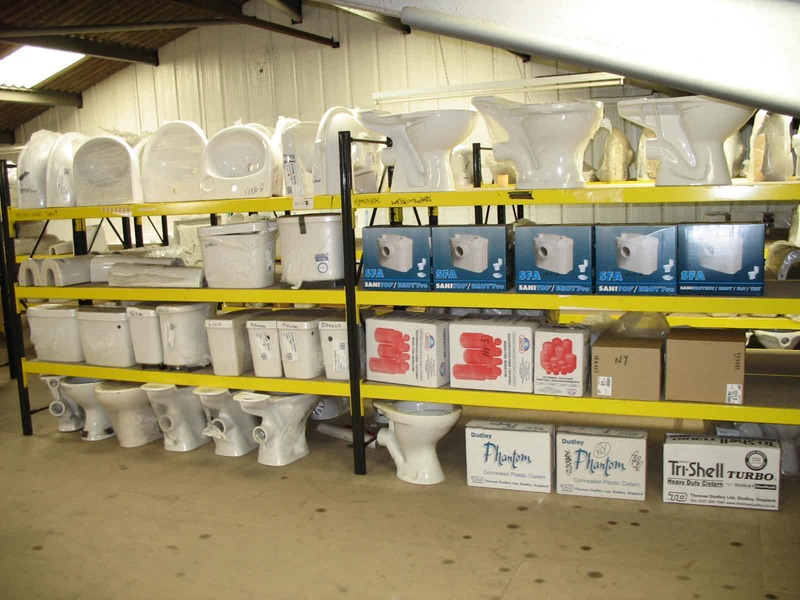 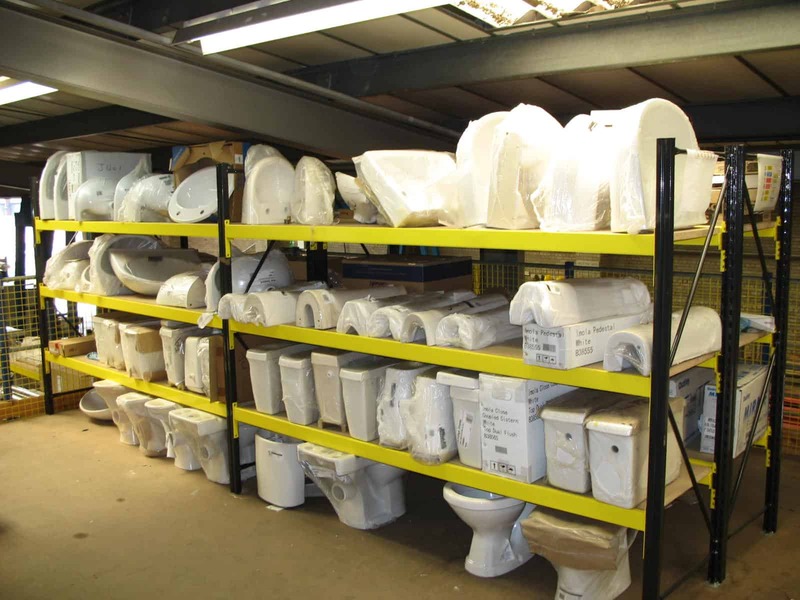 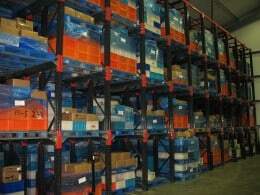 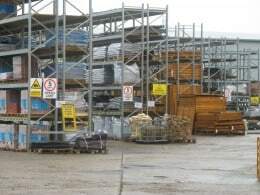 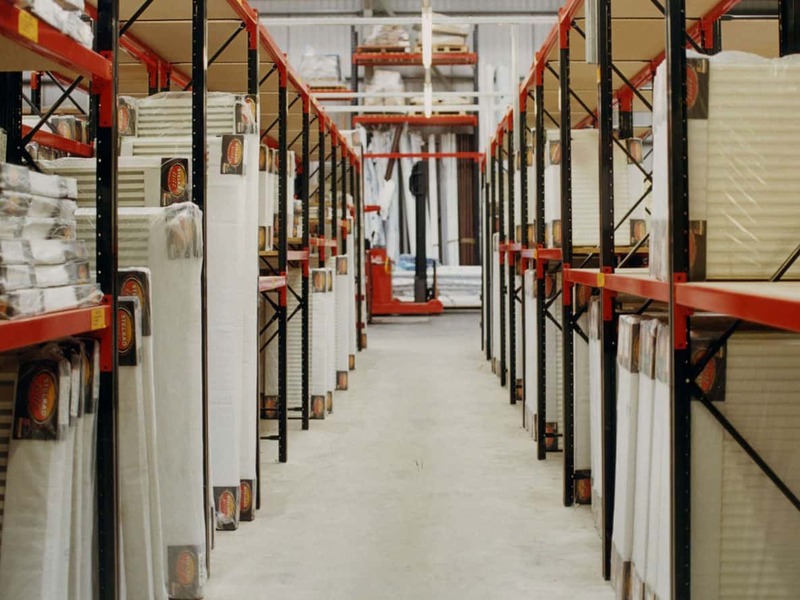 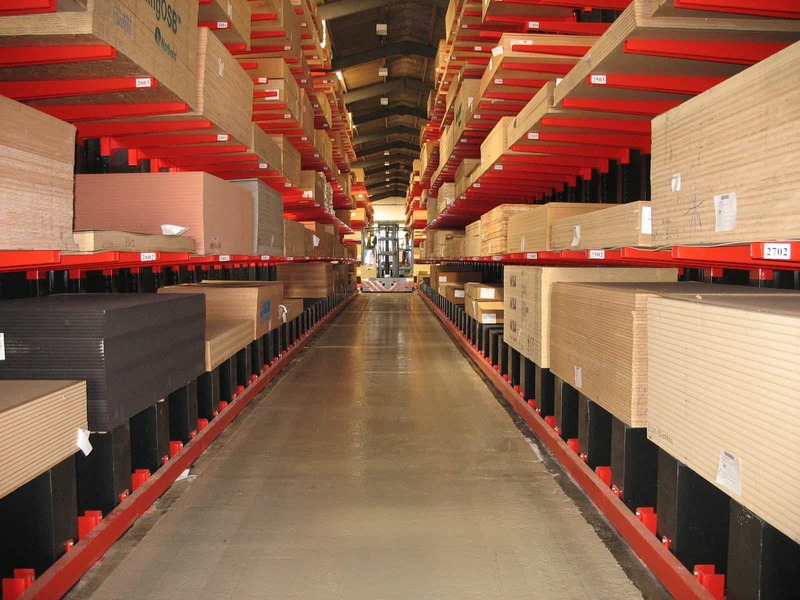 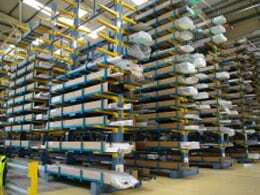 Our range typically consists of Cantilever Racking which maximises the overall storage area whilst allowing uninterrupted access to individual products. 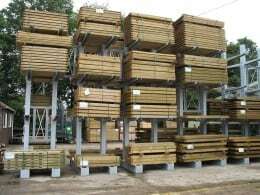 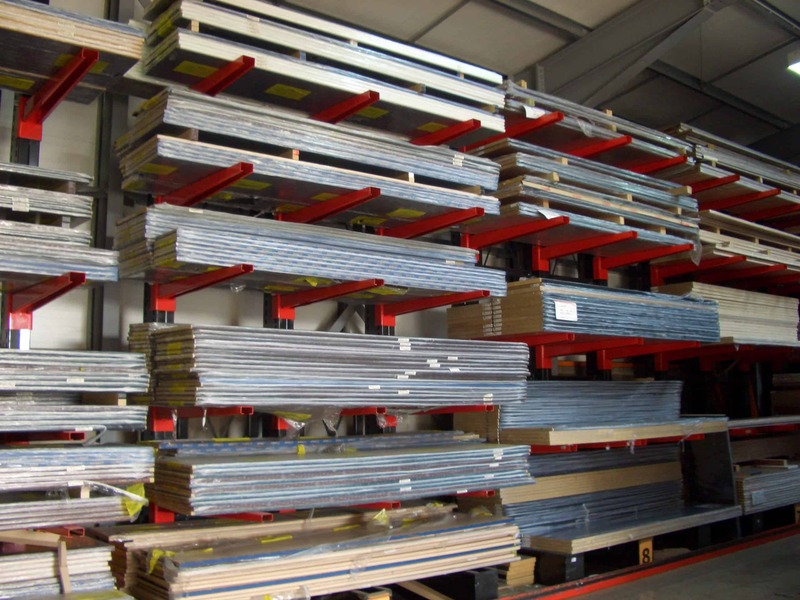 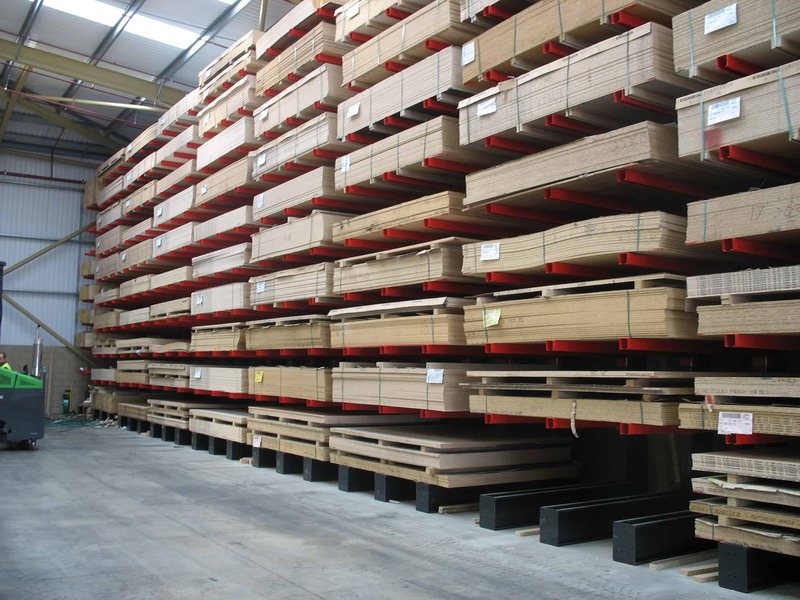 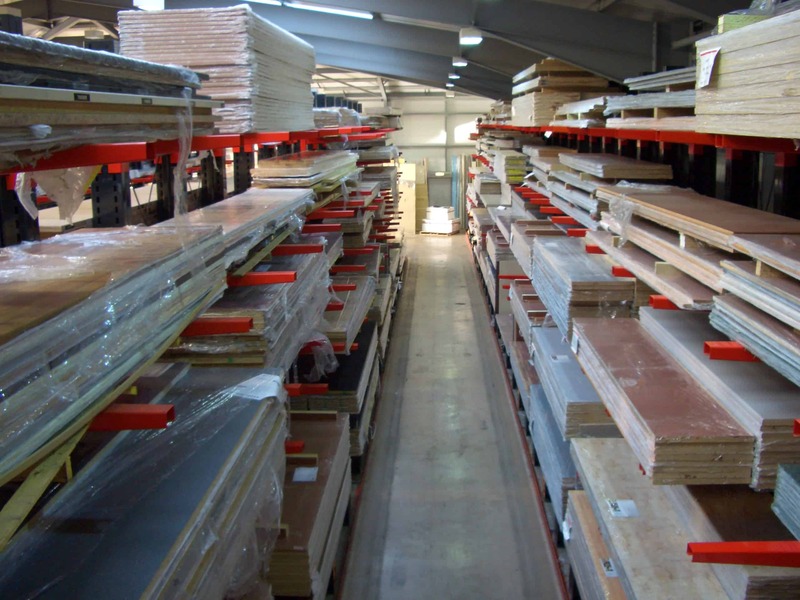 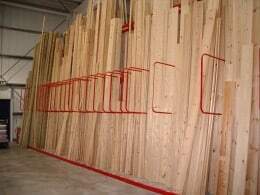 In addition Timber, Plywood, Sheet Materials, Chipboard, MDF and Decorative Laminates stored on Cantilever Rack keeps damage to stock down to a minimum as well as being the safest storage option. 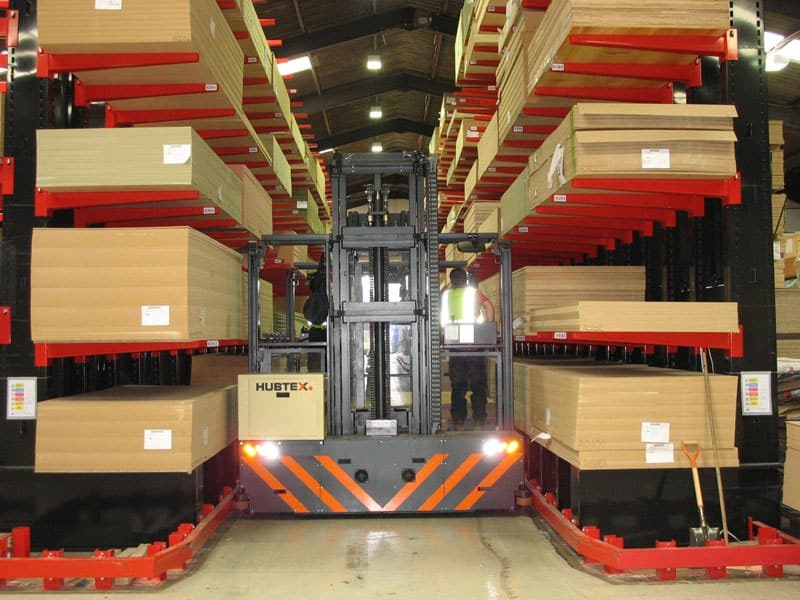 Worktops can be selected at heights to suit manual handling regulations either directly from the rack or off the pack selected by lift trucks. 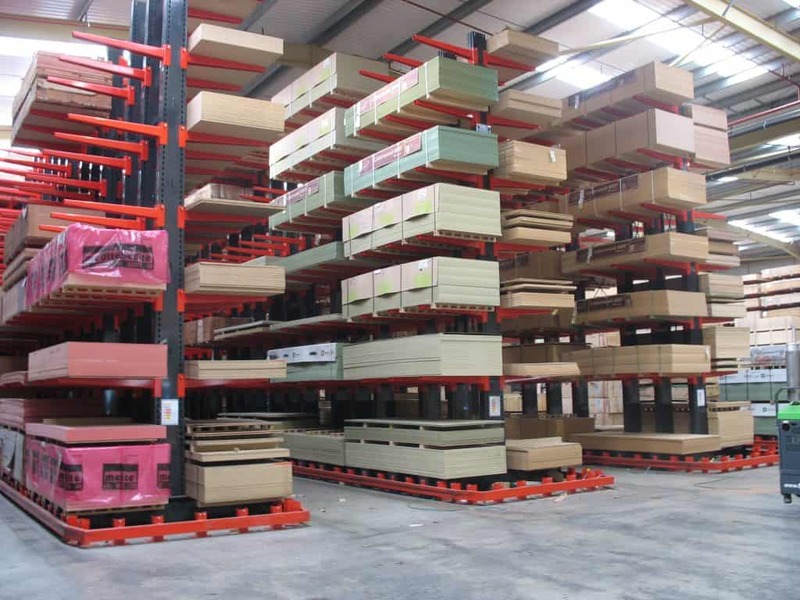 Stakapal SR2000 Series Pallet Racking in a Pigeon Hole / Letterbox configuration offers a cheaper alternative storage method for low stock items such as Laminates again keeping stock damage levels down to a minimum. 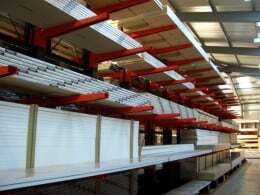 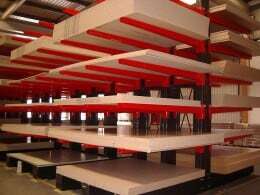 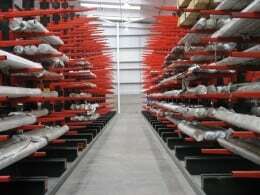 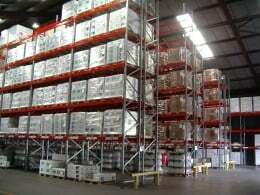 Conventional Cantilever Racking ensures a very safe working environment which is extremely important when storing Sheet Materials as well as eliminating damage to stock. 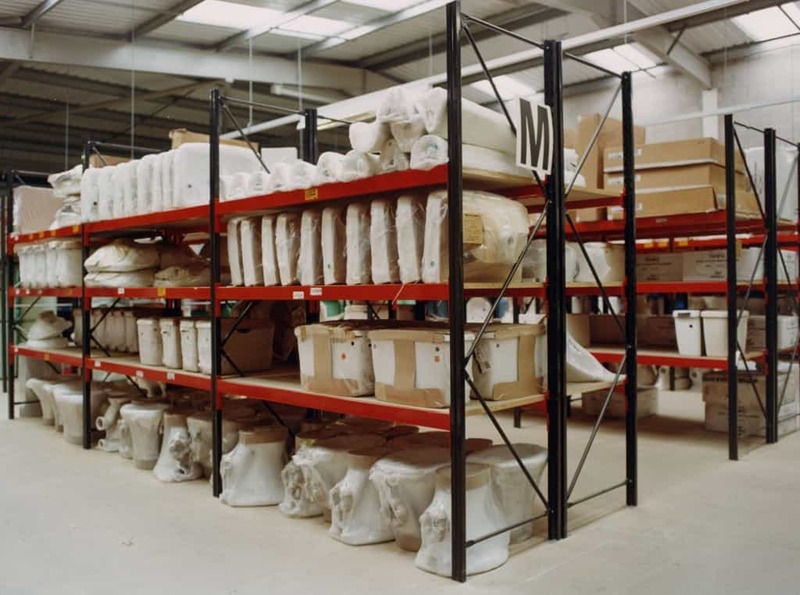 Stakapal’s Stakrak SR500 Series Widespan/Longspan Shelving is easily adjustable and flexible storage option for handloaded items such as sanitary ware alongside a variety fixings and components essential to the KBB sector. 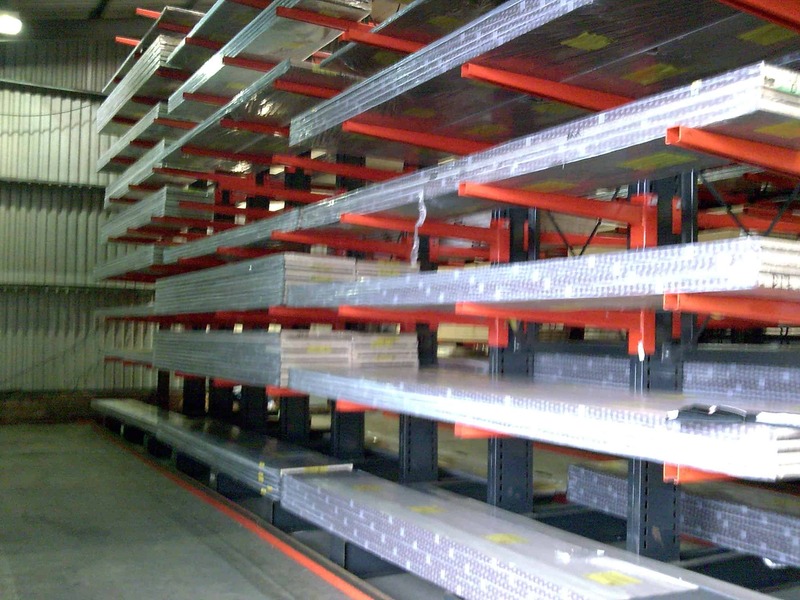 Our Stakrak SR2000 Series Pallet Racking offers the capacity for mechanical handling of palletised items at high levels which can also be configured to include A-Frame Racking at lower levels for hand loaded selection.